With Wiser Approved status you can reap the exclusive benefits and discounts as well as having your company featured on our website. 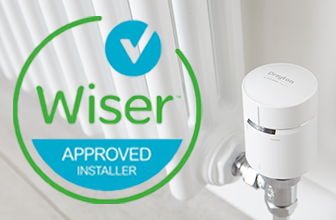 Wiser is the altogether better, smarter, easier way to personalise home heating and is easy to install from app to thermostat. We’re looking for qualified professionals to promote and install our smart heating system. Since Summer 2018, we’ve been providing smart heating controls training to professional heating control installers across the UK, giving them the opportunity to become Wiser Approved. The training continues this winter and we’re looking to get more installers involved in this training opportunity. From our Approved Installer half day training, you will take away knowledge of how to easily install our smart heating systems, how Wiser commissioning and set up works, as well as how Wiser integrates with existing heating systems and all the smart heating features that your customers will love. Click here to find training events near you and view dates, venues and booking information - we look forward to seeing you there!